Physical therapy—with helmet therapy if needed—is the recommended treatment for most infants with position-related flattening of the skull (plagiocephaly), according to a new set of clinical guidelines in the November issue of Neurosurgery, official journal of the Congress of Neurological Surgeons (CNS) from Wolters Kluwer. 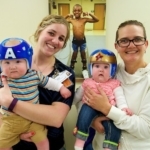 “Evidence-based guidelines for the treatment of positional plagiocephaly are necessary and important to deal with this common disorder,” writes Dr. Ann Marie Flannery of Women’s and Children’s Hospital, Lafayette LA, and colleagues. An Executive Summary  of the new guidelines is published in the November issue of Neurosurgery, in addition to summaries of each individual chapter. The full-text versions of the guidelines are available on the Congress of Neurological Surgeons’ Guidelines web site. Positional plagiocephaly refers to flattening of one side of the head. It may occur in infants who always sleep in the same position, causing pressure on the same spot on the skull. This and other positional skull deformities have become more common since the recommendation to place babies on their backs to sleep. The “Back to Sleep” campaign (now called “Safe to Sleep”) has been highly effective in lowering nationwide rates of sudden infant death syndrome (SIDS). 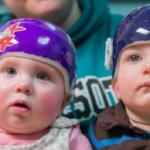 A multidisciplinary task force complied of clinical experts was assigned to perform a comprehensive review and analysis of the research on diagnosis and treatment of positional plagiocephaly. Developed by the Congress of Neurological Surgeons, these guidelines are also endorsed by the Joint Guidelines Committee of the American Association of Neurological Surgeons and the Congress of Neurological Surgeons, and the American Academy of Pediatrics. Diagnosis. 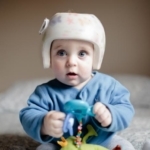 In most cases, positional plagiocephaly can be diagnosed by clinical examination. The guidelines include recommendations for further testing in situations where further information is needed. Repositioning. Repositioning is an effective treatment for deformational plagiocephaly. However, available studies suggest that repositioning is inferior to physical therapy and helmet therapy. Physical Therapy. 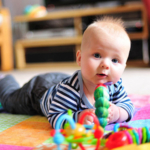 Physical therapy is recommended over repositioning alone for infants aged 7 weeks and older. Physical therapy is recommended over the use of a positioning pillow in order to ensure a safe sleeping environment and comply with AAP recommendations. 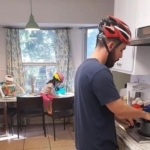 Helmet Therapy. 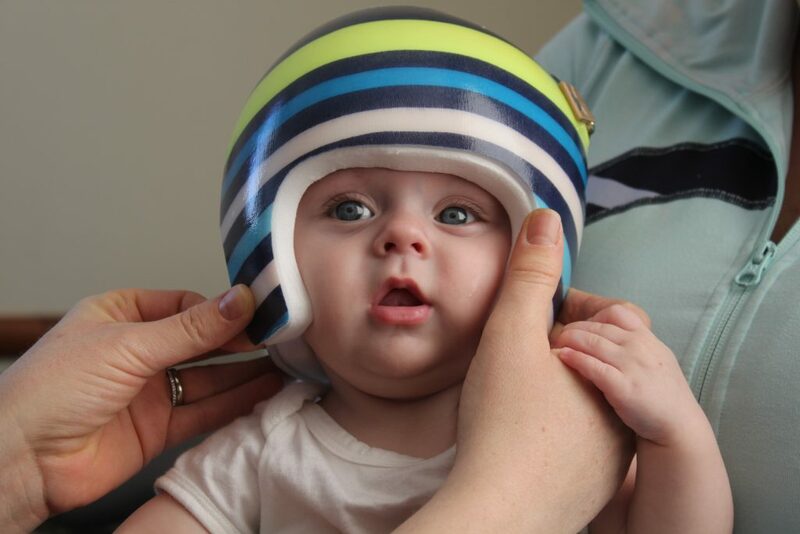 A helmet, or “cranial molding orthosis,” is recommended for infants with moderate to severe plagiocephaly that persists after repositioning and/or physical therapy, or for older infants. The recommendations in the new guidelines are rated according to the strength of the supporting research. The recommendation for physical therapy over repositioning aligns with the American Academy of Pediatrics’ warning against the use of soft “positioning pillow” devices in the infants’ sleeping environment. The new documents offer guidance to the many different healthcare professionals—including pediatricians, neurosurgeons, neurologists, plastic surgeons, and physical therapists—who evaluate children with positional plagiocephaly. The guideline also highlights the need for continued research in several key areas, including further high-quality studies on the effectiveness of physical therapy.